Hot weather is definitely creeping in and every household will soon be relying on its AC to feel comfortable. But before you put your air conditioner back into heavy use, it is important to make sure that it is in “mint condition.” Otherwise, it may break down when you need it the most. In this instance, your entire household may have to “sweat” through a few days without it while it gets repaired. AC maintenance is always better than repair. It costs less and it can ensure a long functional lifespan of the appliance. More importantly, it does not take a lot of time. An AC cleaning service, for example, is typically done in under an hour. So, how should you go about AC maintenance in preparation for hot weather? Listed below are six things that you should do. After not being used for some time (due to the cool weather), it is quite likely that the filter is filled with dust and other debris. A dirty filter reduces the efficacy and efficiency of an air conditioning system because the air cannot flow freely to the evaporator coil. So, have the filter cleaned or changed. The best replacement for disposable filters is the 1-inch pleated filter, which is quite cheap. It does the job well and while it does not catch every speck of dust as the expensive pleated filters do, it allows the unit to disperse air better. This actually helps a great deal because it can prevent your filter from getting too dirty easily. Make sure to vacuum upholstered furniture and change your curtains or drapes. Doing these can contribute immensely to the good quality of air inside your home. And, if you have carpets at home, have them cleaned too. The number of furniture items in your home, and where each piece is placed, can have a huge impact on how well your AC works to cool your home. The general idea is to have fewer items of furniture in a room. Keeping furniture and curtains away from AC vents can also improve air circulation. This will prevent the system from working too hard, which is crucial in keeping ACs in pristine shape. If you have too many items at home, consider putting them in a self-storage pod and just retrieve them when you actually have to use them. Most people like to run the fan of the AC to distribute cool air around the room faster. However, running the fan of the AC consistently when cooling will blow sticky air back into the room. This practice is a big no-no for it is known to shorten the life of the AC motor. Clogged drains are often responsible for water dripping from the front of the AC and less effective cooling. Not only that, water dripping in front of the AC can lead to rusting. A thorough AC cleaning will take care of this problem. Most people do not think it a serious issue if the AC is too noisy, but it actually is. Weird noises and excessive vibration are indications that there is something wrong with the system. 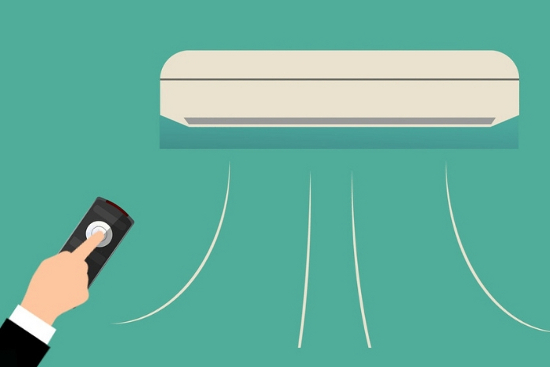 Typically when an AC is too noisy, it pushes out too much air, which also means that it is working too hard. When your AC starts making weird noises or it vibrates too much, it is better to call in the pros right away. It is better to be safe than sorry - and sweaty too. A perfectly working air conditioning system at home is a true blessing during the warm months. When it is scorching hot outside, you can just come home to comfort. So, before it gets unbearably hot, perform all the maintenance requirements discussed above and employ the services of AC specialists.